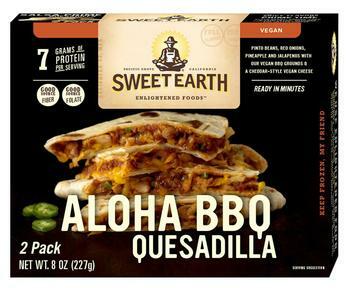 Sweet Earth Foods is recalling a limited amount of 8-oz., packages of Sweet Earth Aloha BBQ Quesadilla. The package incorrectly contains Sweet Earth Mile High Quesadilla with eggs and milk, allergens not declared on the label. The company has received no reports of illnesses to date associated with this product. The recalled item with UPC code 016741000551 on the back of the package, and "best by" date 6/28/19 and lot number 8149 on the side of the package, was produced on May 29, 2018. It was distributed only to Target stores nationally and Strack & Van Til Food Market in Indiana and Illinois. Customers with egg and milk allergies who purchased the recalled product should not consume it. Consumers desiring a replacement should contact Sweet Earth at (831) 375-8673 from 9 a.m. – 5 p.m. (PDT) Monday – Friday or by email at zenfarmer@sweetearthfoods.com.